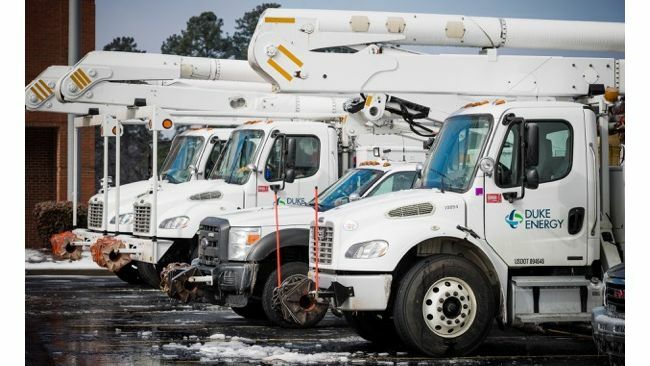 CHARLOTTE, N.C. - As Hurricane Joaquin continues along its uncertain path toward the U.S. East Coast, Duke Energy crews in the Carolinas are preparing for potential storm impacts from high wind and heavy rain in portions of its already saturated service area. Duke Energy's experienced team of meteorologists is monitoring the path and strength of this major hurricane, and the company's storm team is making sure that adequate equipment, supplies and personnel are available, if needed, to respond to outages. In addition to line crews, contractors and support teams already in the Carolinas, Duke Energy maintains crews in its Florida and Midwest service areas that are available to deploy for additional support. And the company maintains mutual assistance agreements with peer utilities in the region to secure crews and equipment, as needed, to further enhance response efforts. Check supplies of flashlights, batteries, bottled water, non-perishable foods, medicines, etc. Also, ensure a portable battery-operated radio, TV or NOAA radio is on hand. Charge cell phones in advance of the storm to stay connected to important safety and response information. Of particular concern is the already saturated ground from multiple days of rain across the Carolinas. The wet ground, coupled with the potential for high winds, may result in downed trees and lines as the storm passes. Stay away from any downed power lines and assume they are energized. Report downed power lines to Duke Energy. If a power line falls across a car that you’re in, stay in the car. If you MUST get out of the car due to a fire or other immediate life-threatening situation, jump clear of the car and be sure that no part of your body is touching the car when your feet touch the ground. Visit Duke Energy's storm preparedness website  www.duke-energy.com/storms  for links to outage reporting tools, safety information and tips. There is also an interactive outage map with up-to-date information on power outages, including outage totals systemwide and by county, as well as estimated times of restoration. These automated options are the quickest and easiest way for customers to report outages. By entering a phone number or Duke Energy account number, the customers outage will be recorded in the company's system and included in restoration plans. Customers who report an outage can choose to receive updates via text message or voice message until their outage is restored. Visit www.duke-energy.com/outagealerts for more information or to enroll.